Beyond Caravaggio – a wonderful exhibition, though I wanted more paintings by Caravaggio and more, and more. Because it was incredible to see this after having just read Graham-Dixon’s Caravaggio: A Life Sacred and Profane. 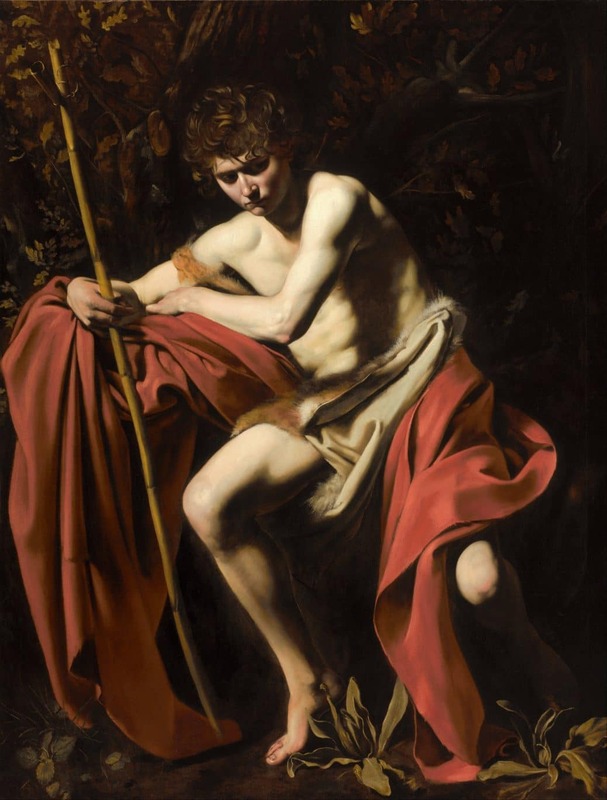 To see Caravaggio’s work, the paintings themselves… They are stunning, the brushwork is invisible creating pieces so luminous they almost glow. They are bigger than I had expected them, so when I stepped forward everything shifted. The figures emerged from the darkness, fingers stretched towards me from the canvas. The scenes enveloped me. Jostling crowds behind me could almost be forgotten (and I may have to beg their forgiveness, but I never was so rude to stand right in front). I realised too, that these paintings must have been even more wondrous in that first decade of the 17th Century, imagine them candlelit, and without the bloating I sometimes feel of having all art immediately available at the search of the internet to create a jostle of periods and wonders so that novelty is hard to come by. 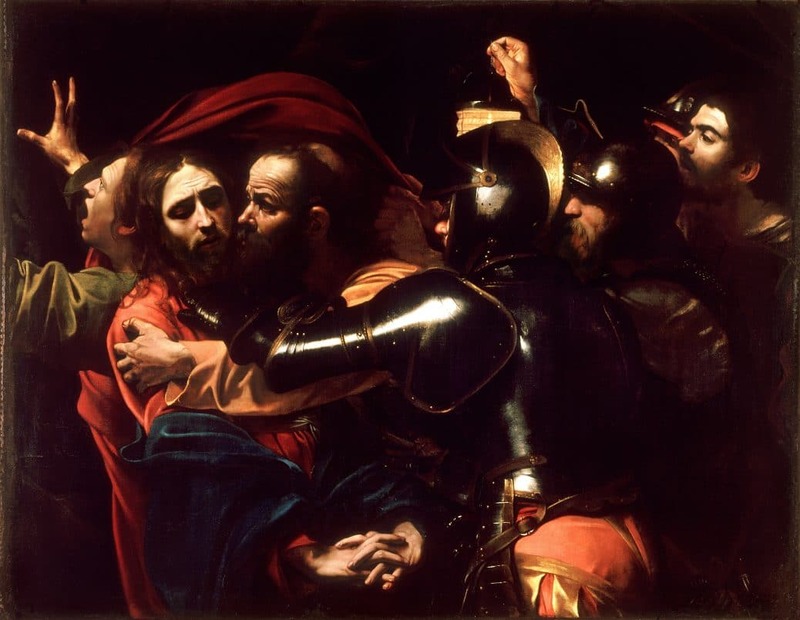 No wonder Caravaggio had the impact that he did, no wonder that so many copied his style – this exhibition was full of truly inspired examples of that. Orazio Gentileschi, his daughter Artemisia, my other favourite Jusepe de Ribera. Caravaggio remains apart from the wealth of talent that innovated with his use of darkness and light, not just for the power and skill of his work, but for the common faces bearing their lives in the lines of their skin, the stances that reveal their character, the gestures and the spaces they create that invite you into the paintings. The rips in the sleeves — I wanted to reach out to trace the torn fabric in Supper at Emmaus, itching for a needle and thread. There is also the extraordinary beauty of the object, the crystal glasses and decanters, the baskets of fruit that are incredible perfection of detail. They were unexpected, despite having read of them, seen the reproductions. 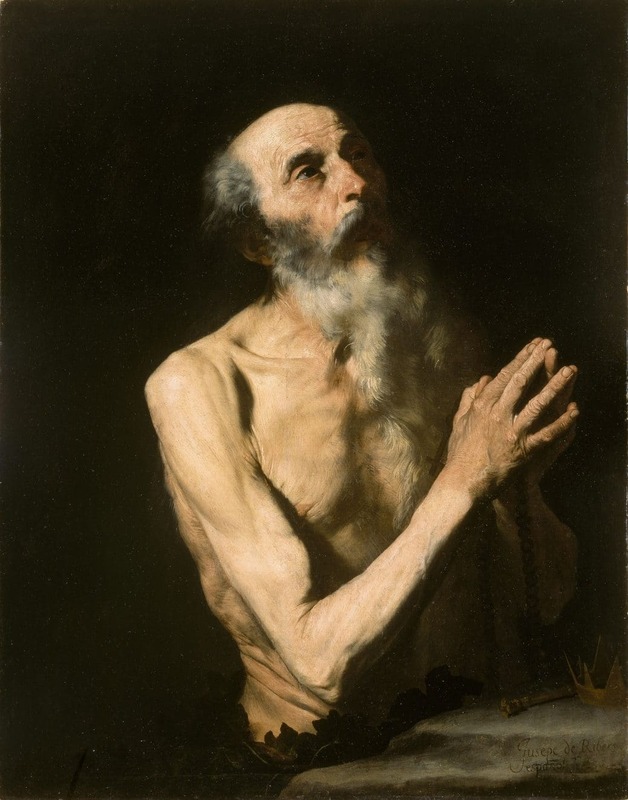 Caravaggio’s commissions were so often religious, he had little choice in his subjects, yet he clearly felt deeply that these men and women surrounding Christ were poor, old, sick, faltering, doubtful, poor. Their feet bare and tired. 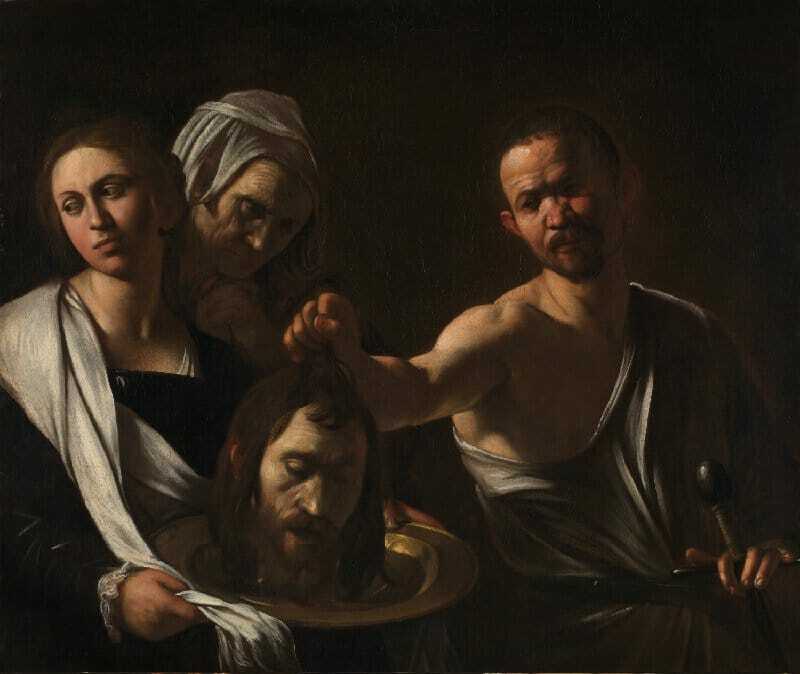 Caravaggio was also a painter of intense violence, matter-of-factly inflicted here upon John the Baptist, a curious, complex expression of Salome’s. There was one enormous surprise – Cecco. Also from the town of Caravaggio, and Caravaggio’s model, housemate, probably lover, the one who stayed with him until that last flight to Malta (and I imagine that scene of farewells, driven undoubtedly by Caravaggio’s ambitions for a knighthood and the unwillingness of the Colonnas to sponsor him alongside Caravaggio into the very closed society of the Knights of Malta). Nowhere does Graham-Dixon mention, I am almost certain, that Cecco too was a gifted painter. Suddenly their relationship shifted, a collegiality and a greater touch of equality shapes it. 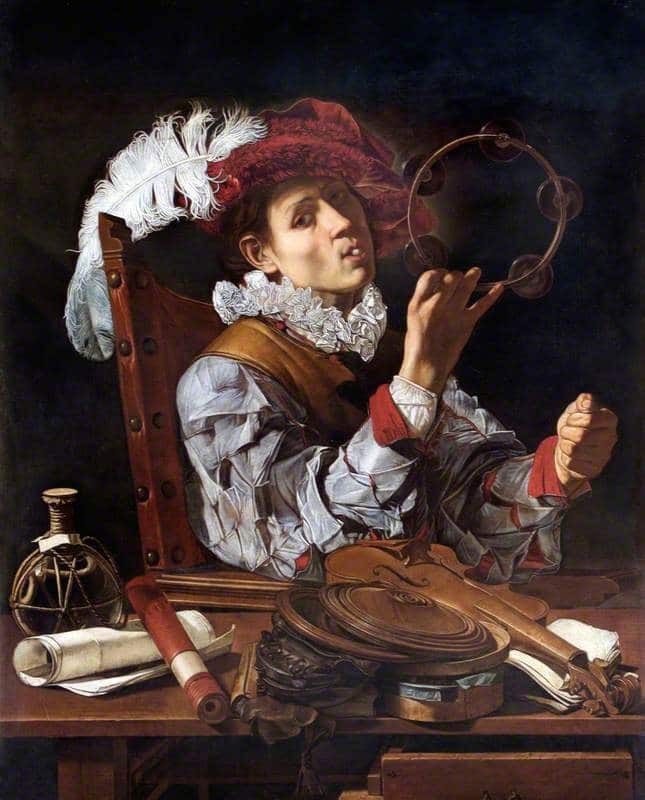 Not so surprising as Cecco’s paintings were that the luminous works which draw on Caravaggio’s influence from Italy, the Netherlands, Spain, almost all use the chiaroscuro but with rich cloth, wealthy patrons. 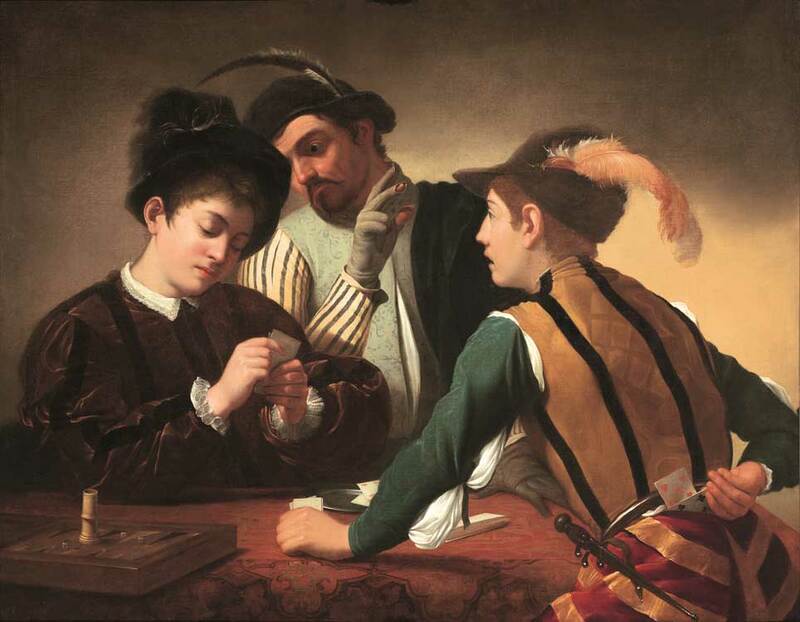 Many of them copied his two paintings of cheating – the card shark and the gypsy. I was sad they were unable to bring these paintings by Caravaggio to be part of this temporary exhibition. 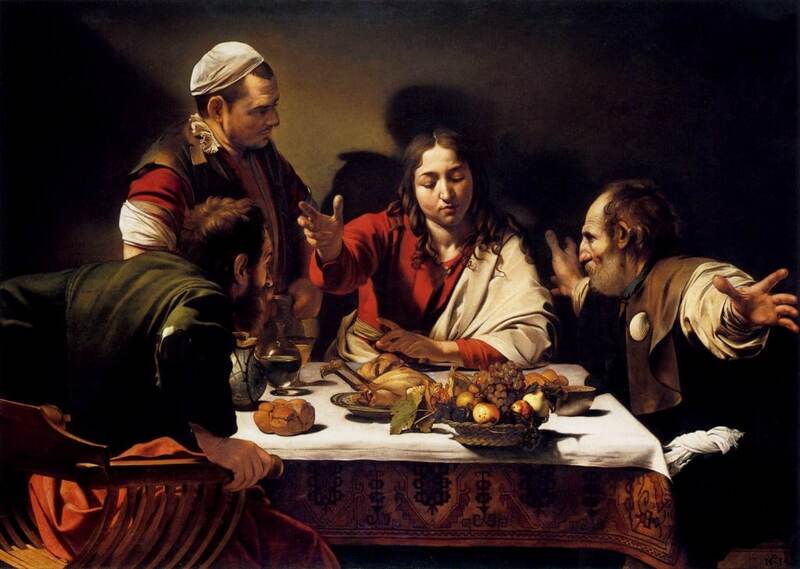 But the small touches seemed absent from the paintings inspired by Caravaggio’s. The humanity, the necessity, the feeling that the next meal requires winning.